Finally i brick my BBQLinux BuildBox . . . So i guess its worth sharing the tips here . . .
it always stop at /bin/bash: prebuilts/misc/linux-x86/bison/bison: No such file or directory & i don't even know how i broke it, after spending many hours trying to rescue it but fail, ending up re-installing BBQLinux & in less than 20 minutes later, my BuildBox is back building android; Conclusion : Just re-install it . . . Still need to develop Windows apps & now its the other way round, that is Windows is on VirtualBox . . .
& add user. Eg: sudo gpasswd -a yuweng vboxusers then you can access your android device USB on VirtualBox. If you're using an old kernel then you may need below command, reboot first then only install VirtualBox . . . Already bored with BBQLinux theme then hunt for new one here . 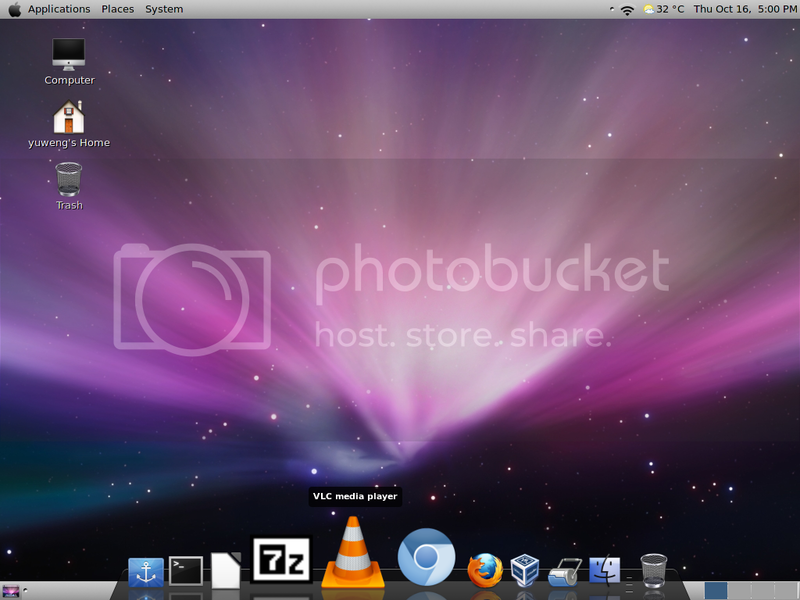 . .
My OS X theme on BBQLinux, more info here . . .
Want the apple OS X dock to work on BBQLinux then . . . So if you have any other Miscellaneous Tweaks & Tips, please do share it on this thread, Cheers . . .
Got my Canon LBP2900 working following this guide with one most important criteria, plugin your printer, reboot BBQLinux after completion or it will not print ! Fyi, spent nearly 3 days then only figured it out . . .
Got Winamp with Enhancer working on BBQLinux, it sound so good on my Acoustimass® 5 . . .